This map demonstrates territory of Afghanistan, of Pakistan. interesting map of Wazit for Garmin. detailed map of Qal`ah-ye Ust и OziExplorer calibration free download. interesting map of Sust Bala presented. free map of Sust for you. 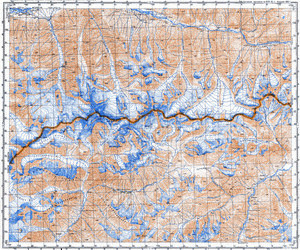 topographic map of Pak и OziExplorer calibration presented. topographic map of Kipkut with gps calibration here. detailed map of Khazget и OziExplorer calibration presented. detailed map of Kret for Garmin. interesting map of Kizgit и OziExplorer calibration presented. interesting map of Ab Gaj displayed. interesting map of Rua calibrated here. topographic map of Phurgram displayed. free map of Nekhcherdim with gps calibration here. free map of Moghlang calibrated here. interesting map of Dobargar и OziExplorer calibration displayed. interesting map of Chhitisar free download. detailed map of Shost и OziExplorer calibration here.